Diego, Alicia and Baby Jaguar are on a fantastic journey to the land of dinosaurs to reunite Maia the Maiasaura with her family. 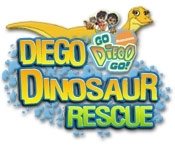 Join Diego and his friends on their journey and play exciting games. 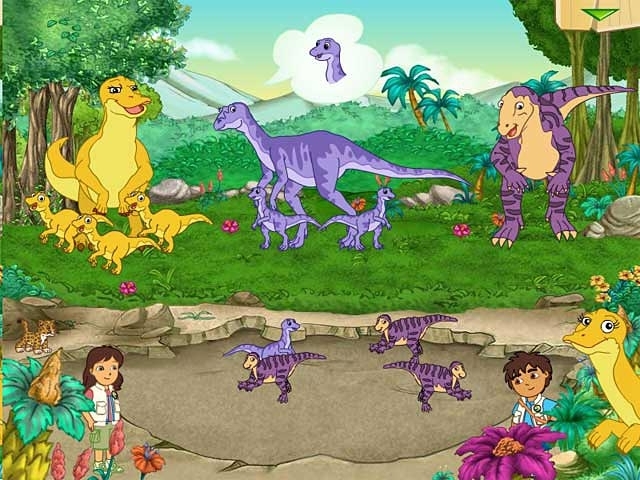 Become a dinosaur scientist and track giant footsteps, help rescue baby ploosaurs swimming in the deep lagoon, hit mudballs and build walls to stop the Troodons! There's so much so see, learn, and explore in the land of the dinosaurs!